Tsuten-kyo is a very famous koyo viewing spot (refer to # 066). In Japanese, the word "tsuten" is "leading to the sky (or the heaven)" (refer to #031) and "kyo" is "bridge", respectively. So, "Tsuten-kyo" literally means "the bridge leading to the sky (or the heaven)". This bridge is in Tofuku-ji temple, one of very famous temples in Kyoto (refer to #035). 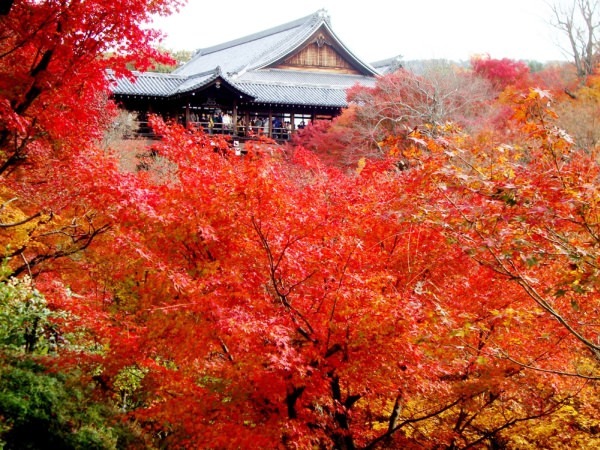 Kyoto City has countless koyo viewing spots. Most of them are not only koyo viewing spots but also sakura viewing spots (refer to #001). 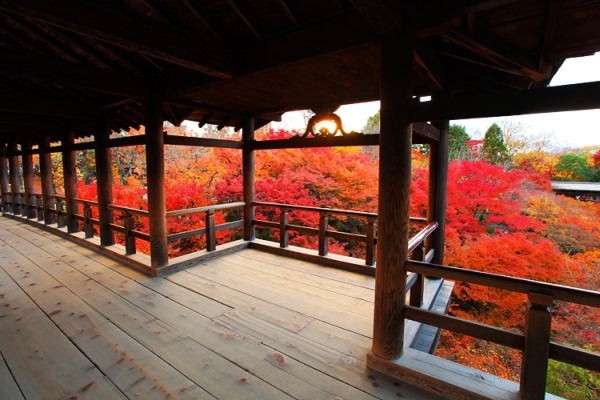 However, Tsuten-kyo in Tofuku-ji specializes in being a koyo viewing spot.